One thing I am obsessed about when it comes to cars is quality. I expect it from the dealer first contact right through to the actual performance of the vehicle. There can be no argument whatsoever when it comes to the fortunes of Jaguar Land Rover since snuggling under the wing of the Indian TATA company. To put it mildly, they’re on a roll with recent models such as the mouthwatering F-Type and the business / fleet chasing XE. As far as the green oval badge matters, the Discovery Sport that was launched a few months back has sold in good numbers effectively replacing the Freelander. 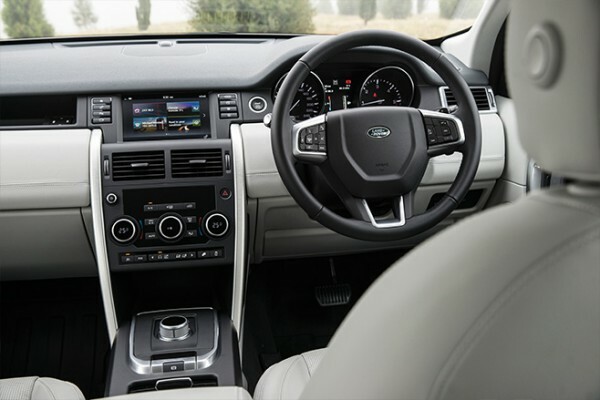 Its Land Rovers entry level passenger vehicle for sure, but does it feel that way compared to the rest of the range such as the Discovery, Evoque and Range Rover? A cozy interior that’s well made with the exception of cheap feeling dashboard vents. Everything works well and its super comfortable. Cruises at speed better than some large passenger cars – especially on the motorway. As I type, JLR are now taking orders for the “ingenium” powered 2.0 diesel Discovery Sport and marks a £350 million investment of confidence from the parent company with its new engine plant in Wolverhampton. The model I have just experienced is the soon to be replaced 2.2 SD4 engine in HSE trim. Okay not exactly ideal to test out a car that is soon to be revised, but the vehicle in question had covered over 12,000 in little under 8 months. Trust me when I say that these press fleet cars live a torturous and fast paced life – if they can rack up this kind of use / abuse they will certainly make it in the hands of Joe (or Josephine) punter. Upon arrival I could see no issues with paintwork quality or panel gaps, in fact it looked almost like new with the exceptions of some visual wear on the rear brake discs. The same applied on the inside too and I soon warmed to the superb ergonomics, the revised controls on the infotainment system and the brilliant commanding driving position. The HSE trim brings in goodies such as leather seats, dual zone climate, sat nav, DAB and a raft of passenger / pedestrian safety devices – everything for the urban jungle you might say. Disco Sport seems pretty capable off the road too. Only limited by its tyre equipment it seems. Be it round town or on the motorway, the Sport is wonderfully refined but the 9 speed ZF gearbox seems to hunt around for the gears as you back off or accelerate at higher speeds – not a major problem but slightly tedious. The steering, brakes, heating system all works with precision and perfection and I really struggled to find evidence of the previous 12,000 hard driven mileage. Even off road the Sport does exceptionally well and seems only limited by its tyre equipment in terms of outright adhesion. My only real concern of the current driveline was my struggle to get the fuel consumption anywhere north of the mid 30’s. My official off road route includes a man made lake, an ash pit, grass banks, shale, rubble and virtually every possible kind of boulder or stumbling block for a 4wd car. The Discovery sport took most things in its stride but failed with a few steep grassy / muddy slopes – once again, all down to the tyres fitted to the vehicle. One thing worthy of note is the body control under extreme manoeuvres on poor road surfaces. 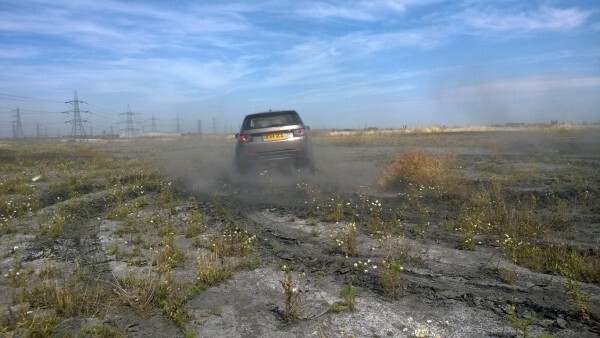 It really took a good thrashing on some weed encrusted wastelands and not once did the car feel unsteady or unbalanced underfoot – utterly super chassis control. It has superb poise and balance. The traction control system works amazingly well and even here under some hard right footing on a very loose surface the interior remains as calm as a Country Club reading room – utterly superb refinement! So was there any evidence of weak spots in the overall package? Seemingly none whatsoever, the Disco Sport feels granite tough in the rough and almost Jaguar smooth on the blacktop and I cannot wait for my full test of the new 2.0 diesel in the not too distant future. The test car did seem to have loose and flimsy feeling facia vents and the cover on the windscreen top sensor that operates the automatic lights and wipers felt below par… but that’s it otherwise. 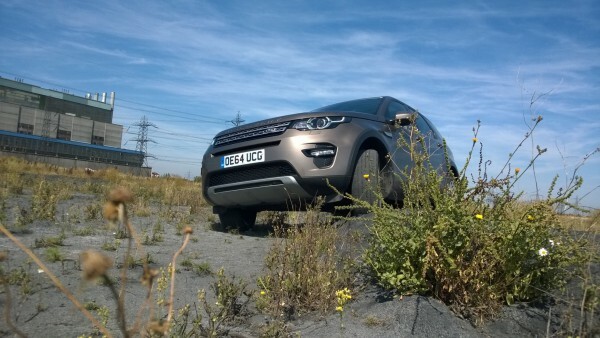 As a new car purchase or a nearly new buy I wholeheartly recommend the Discovery sport. Keep `em peeled for the full review of the 2.0 “ingenuim” powered model coming soon! Likes: Solid quality feel – Instantly recognisable as a Land Rover – Well equipped – Refined – Wonderfully smooth when cruising at speed or pootling around town – Able and talented chassis control. Dislikes: Hunts for gears on occasions – Change the tyres if you want to off-road properly – Flimsy feeling dash vents – Not as frugal as I’d like. 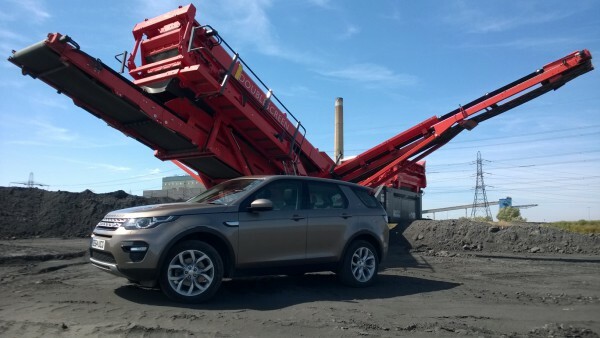 Once again thanks are due to Jaguar Land Rover Group and Gothard Plant & Land Reclamation Ltd for their help. Previous Your Thoughts : Car salesmen??? Don’t get me started!